Thanks to efforts by Abbas's rival, United Arab Emirates will provide $15 million a month to Gaza. The United Arab Emirates will provide $15 million a month to Gaza, Gulf News reported Thursday, citing Palestinian Arab politician Mohammad Dahlan. “15 million dollars will be pumped monthly from the beginning of next month to the Palestinian Joint Liability Committee in support of relief, humanitarian and development projects in the Gaza Strip to alleviate their suffering,” Samir Al-Mashharawi, an ally of Dahlan, was quoted as having said in a statement. Dahlan, the longtime political foe of Palestinian Authority (PA) chairman Mahmoud Abbas, has been working with Gaza’s Hamas rulers. He recently took part in a public meeting with Hamas members of parliament aimed at reaching "understandings which are able to restore hope to the people of Gaza and alleviate their suffering." The Joint Liability Committee was established in the wake of agreements made between Dahlan and Hamas in early July in Cairo, according to Gulf News. Hamas and Abbas’s Fatah faction have been at odds since Hamas violently took control of Gaza in a bloody coup in 2007. 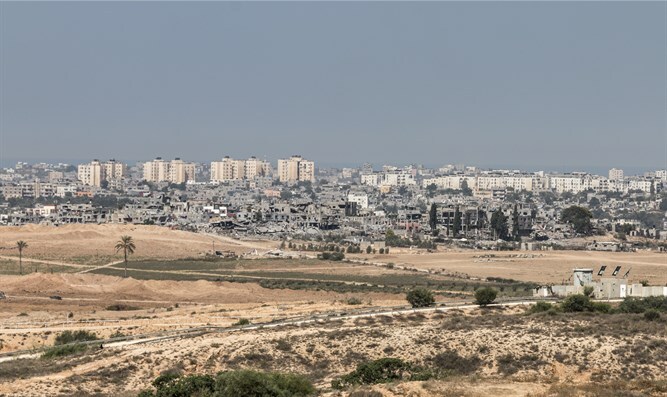 Fatah recently finally acknowledged that it has no control over Gaza and is now trying to force it to return control of the enclave by creating economic pressure on the group, most notably by cutting electricity supplies to Gaza through Israel. In addition, the PA also recently decided to force more than 6,000 employees in Gaza into early retirement. It later halted salary payments to more than 30 lawmakers affiliated with Hamas.